Airman 1st Class James Thomas, 24, is is shown being arraigned May 9 at the Anchorage Jail. 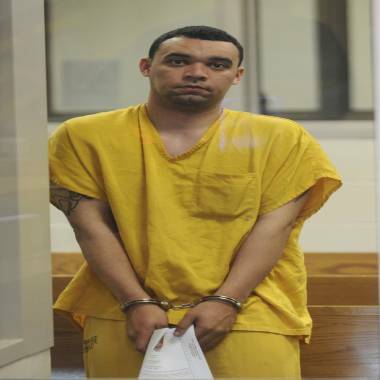 ANCHORAGE, Alaska -- The mother of a slain Air Force airman says she hopes the man indicted in her son’s murder has enough compassion to admit to the crime. James Thomas, 24, was indicted by a grand jury Friday on one count of first-degree murder and three counts of second-degree murder, as well as one count of first-degree robbery and six counts of evidence tampering in the slaying of Senior Airman Clinton Reeves, also 24, NBC station KTUU of Anchorage reported. Judy Davis, Reeves’ mother, told KTUU from her home in Kansas: "I just hope James has compassion and admits ... I mean, just tell the truth and tell the story and that way we don't have to, you know, Anchorage doesn't have to go through a trial. I don't want him to prolong this, just admit it and then, you know, be done with it.... but I know in real life, it doesn't work that way." Senior Airman Clinton Reeves is shown in this undated photo released to Reuters on May 10, 2012 by Joint Base Elmendorf-Richardson. Reeves' body was found last month in a roadside ravine after he had been missing for 20 days, police said. 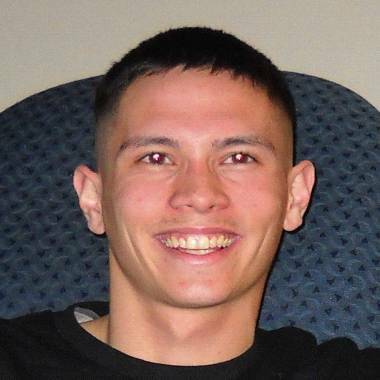 He had been the subject of a citywide search after he failed to show up for work at Joint Base Elmendorf-Richardson in Anchorage, Alaska, on April 23. His body was found near a road in the Anchorage suburb of Eagle River. Thomas was previously identified by police as a "person of interest" in Reeves' disappearance and authorities had said he was one of the last people to see the airman alive. Thomas was charged last month with the six counts of evidence tampering over actions that prosecutors said included the disposal of bloody clothes, towels and a blood-stained couch. The indictment accuses Thomas of killing Reeves on April 19 during a robbery. Thomas' bail for the new charges was set at $100,000, said Anchorage Police Lieutenant Dave Parker. Thomas, in jail since his May 8 arrest on the evidence-tampering charges, is scheduled to be arraigned Tuesday on the new charges, Parker said. Investigators say Thomas lied about the case, first denying any knowledge and then saying he came home on the night of April 19 to find a bloodied Reeves on his love seat. Thomas allegedly burned clothing he said was bloodied while cleaning his home, disposed of the love seat at the Club Apartments in South Anchorage and drove Reeves’ rental car to Mountain View, where it was later found. The Anchorage Daily News reported that Reeves, according to his parents, had gotten a check for more than $4,000 from an insurance company after a wreck totaled his vehicle. He was looking for a new one the weekend he vanished, they said. Thomas is assigned to the Air Force's 703rd Aircraft Maintenance Squadron; Reeves was assigned to the 673rd Logistics Readiness Squadron, the Air Force told the Anchorage Daily News.